Quick climbing habit, good on pergolas or sheltered walls. 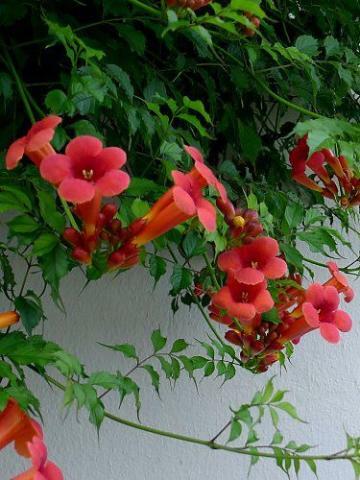 Clusters of red/orange trumpet flowers from leaf axils, August to October. Pinnate leaves. Sun or semi shade. 10m eventually.